Obituary for William Jones | House of Wheat Funeral Home, Inc.
JONES, Mr. William, 87, of Dayton, born in Circleville, OH, transitioned to be with the Lord Monday, August 20, 2018 at home with his loving wife of 49 years, Gloria, by his side. Mr. William was married to Gloria Jones on May 13, 1969. “Papa” served in the Air Force for 30 years, then, worked and retired at St. Elizabeth Hospital. Preceded in death by his parents, Walter Jones Sr., and Pauline Hazelwood; daughter, Adline Acker; great grandson, Cameo Pierre Smith; sisters, Wanda and Betty Jones, Loretta Philfer, Phyllis Walker; brothers, Walter and Bobby Jones, Paul Hill; brother- and sister-in-law, Bill (Annie) Dixon. He leaves behind his loving wife, Gloria Jones; sister, Charlotte Hill; brothers, Kenny (Diane) Jones, Gary Philfer; brother-in-law, Herman (Linda) Dixon; sister-in-law, Melinda L. Fisher; children, Gwendolyn, Constance, Cynthia and William Jr. Jones, Winifred (Curtis) Silva; nine grandchildren, one great grandchild, also a host of other children that he loved; a host of nieces, nephews, family and friends. Papa also leaves two best friends, Lonnie Coleman and Shawn Miller Sr. 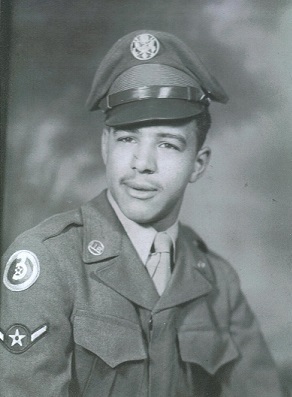 The family of Mr. William Jones would like to say a special thank you to the V. A. Hospital, Crossroads Hospice and Palliative Care, and Pastor Beverly Lee. Special thank you to granddaughter, Dareona E. Acker, for her endless dedication to her grandparents. Funeral service will be held 10 am Monday, August 27, 2018 at the House of Wheat Funeral Home, Inc., 2107 N. Gettysburg Ave. Pastor Beverly Lee officiating. Visitation 9 am at the funeral home at which time family will receive friends. Interment Dayton National Cemetery.